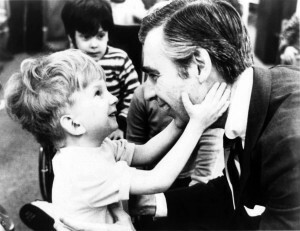 Sometimes I think that Fred Rogers’ wisdom is so often under-appreciated. What he says is true, very true. I know what it’s like to fear for my child’s life. And sometimes the shoe has been on the other foot, when I have been one of the helpers. Many of you know these last few months have been the most difficult in my life. And despite having gone through the deaths of three relatives, nothing has quite compared to this. I can not even begin to express my gratitude for all the care, compassion, and love that has come my way and towards the boys. People I barely knew before are now close friends. Random strangers have offered kindness and support. I have never before needed to be cared for like that, and in some ways perhaps it was hard to let myself be cared for. But I did, and all that caring and generosity has made an incredible difference in my life. Most of us don’t see our pain on CNN or BBC, but that doesn’t mean it’s less real. And it doesn’t mean there’s nobody that cares. Open up to others, let them care for you. Things can and do get better. The people in Newtown did nothing to deserve this. No matter what evidence is found, they will never get an adequate answer to “why?” Children have been frightened, families torn apart, lives ended, for no reason at all. But they will survive the terrible pain. In time, they will find happiness again. And they will feel love and compassion from people around the world — something to sustain them in their grief. I am certain of this. Yes, the world is still a good place. And yet you can find time to bring comfort and thought to others and bring a considered reflection to bear. That reflects weill on you upbringing and the environment in which you were raised and live – but most on you. Well chosen words John. I also like the quote, “To the world you may be one person, but to one person you may be the world.